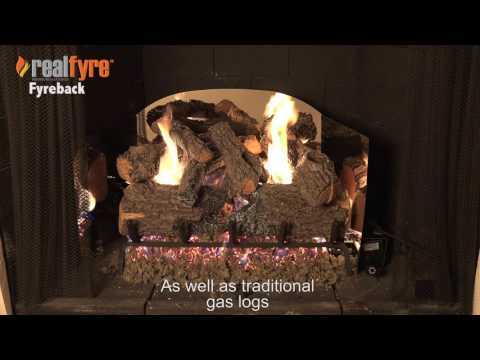 This Peterson Real Fyre 18 Inch Traditional Stainless Steel Fireback accents the flames of your gas log set while radiating heat back into the room for greater warmth. Three-fold design with heavy duty 20 gauge brushed stainless steel construction. Dimensions: Each side is 7 inches wide x 16 inches high. Middle piece is 16 inches wide x 19. 75 inches high. Entire width is 30 inches wide. Makes the fire look great, I do wish it was wider on the sides.